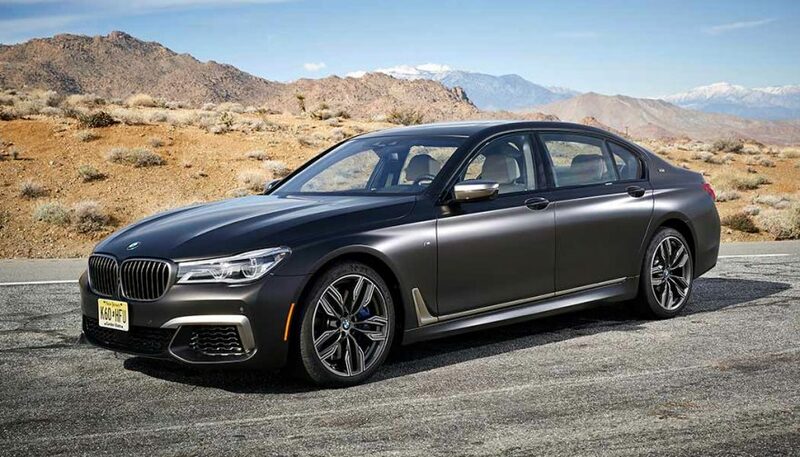 The BMW M760Li is a lengthy, lustrous cruiser brimming with the latest in BMW technology, style, luxury, connectivity and swankiness. This is the German automaker’s biggest car, powered by their biggest engine. As an M-package car, it comes fine-tuned to deliver a stupefying performance experience, too. The BMW M760Li is a rocket-propelled luxury spa, a track-ready limousine and everything in between. Selectable drive modes have wide-reaching effects on numerous vehicle systems, allowing drivers to toggle things from mild to wild at the literal click of a button. 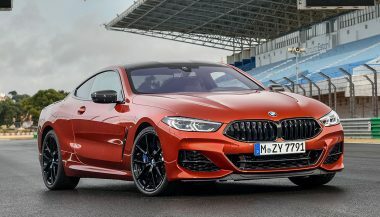 Below, we’ll look at a list of features, functions and attributes fitted to BMW’s ultimate sedan that makes us average folk shake our heads and swear. There’s a rare and special engine under the hood of the BMW M760Li. It’s their biggest: a 6.6-liter V12 with twin turbochargers helping generate 600 horsepower and 590 lb-ft of torque. That’s monstrous, though the engine is a gentle giant when needed. A flexible performer, the big V12 is just as happy dawdling along as it is at its 7,000 RPM redline. Liquid-to-air aftercoolers chill the incoming air from the turbochargers, helping improve throttle response and turning in more consistent performance. You won’t miss the giant V12 badges on the sides of the car. A classy car should smell classy at all times, and that’s why designers invented the Ambient Air System. Load some computer-linked scent cartridges into a special slot in the glovebox and use the on-screen display to pick the scent you’d like wafted through the cabin, and how much of it you’d like. At the touch of a button, the on-board smell can be swapped between various choices. A few of the options are Authentic Suite No. 2, Blue Suite No. 2 and Green Suite No. 1. Every drive in the BMW M760Li is a chance to wow passengers, even when it comes time to park. Sure, you could park it like a regular driver, using the windows to see your surroundings, but that’s boring. An arsenal of cameras are at your command to provide 360 degrees of high-resolution camera coverage. Or just click a button, signal in the direction of where you’d like to park, and let the car’s sensors and microchips track down a space before taking control of the steering and parking for you, hands-free. A Ford Focus can do that though, so naturally BMW’s gone a step further. Using a special keyfob, drivers can park their BMW M760Li while standing outside of it. This is ideal for pulling the car into (or out of) tight spaces after you and your occupants exit. Warning: remote-control parking the M760Li often draws a crowd, so be ready to make new friends. With big-boy V12 power, xDrive AWD and a Carbon Core structure that make the M760 lighter than it looks, acceleration borders on horrifying. Along with the impressive power output and an 8-speed automatic transmission that shifts at the blink of an eye, the BMW M760Li also has Launch Control. This system delivers maximum computer-aided acceleration. Engage launch control, and hold on: the M760 will do 0-60 mph in just 3.7 seconds. Or about as quickly as a Porsche 911 GT3. The M760Li’s cabin is oozing with opulence. Seats are lined with creamy hides, accented with braided leather piping, and stitched with laser precision. There’s even stitched leather inside of the door storage cubbies. What’s more, the leather is so fragrant it leaves its smell on you for hours after you exit the car. The straps that hold the rear document pocket in place on the rear seat? They’re made of suede. Rear seat occupants even get to rest their feet on lush luxury carpeting, not unlike the sort you’d find in a pricey living room. And, ensuring drivers can enjoy all of this, day or night, an ambient lighting system can be customized with various colors and themes. It can give the cabin just-right level of after dark illumination that brings the intricate details to life. My tester, with an options list worth about as much as a Toyota Corolla, clocked in at the better part of $145,000. Literally, this is more than my first house. Admittedly, the M760Li has far nicer furniture, and a way better stereo. It’s a princely sum, but check the prices on the other V12-powered sedans on the market, and actually it’s a bit of a deal. The pricing puts the M760Li out of reach for most, but the car’s looks, feel and features fully back that price up. Since many drivers of this sort of car use it as a personal listening space, the Bowers and Wilkins Diamond Surround stereo system is a thing that exists. A $4,900 option, this first-of-its-kind stereo was designed exclusively for BMW. There are 16 speakers, powered by a QuantumLogic 10-channel amplifier, running enough wattage to power a small city. A pair of Rohacell subwoofers make sure you feel the beat dropping deep in your guts. There are also Diamond Dome tweeters, which contain diamonds, because of course they do. 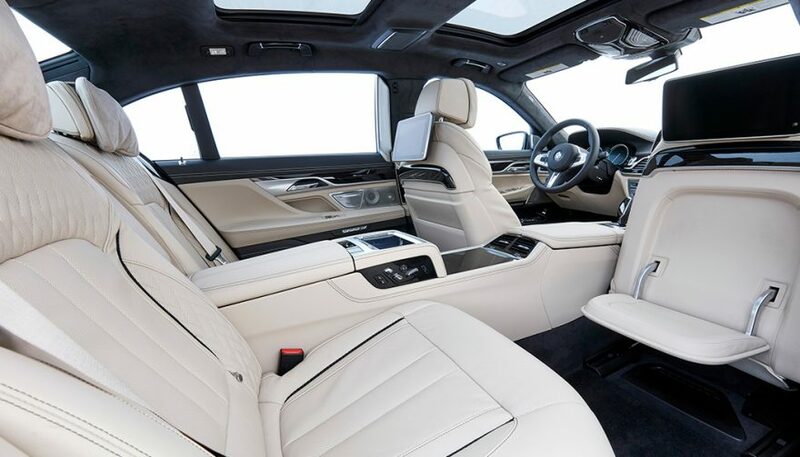 The rear seats in the tested BMW M760Li included the Executive Lounge Tier 2 upgrade. Priced on par with a new Nissan Micra, this rear seating setup is designed to simulate executive-class air travel. Touch a button, and a tablet lifts from its dock for easy access. It can be used to control the climate system, cabin scent, or mood lighting, and it can send directions up to the driver. It can also handle all the multimedia functions too. Wide-screen TVs are installed to the back of each front seat, and a suede headrest pillow adds ritzy comfort while you lay back. Plus, as the tester is the extended-wheelbase model (designated by the ‘Li’ in the badge), there’s about 4 miles of rear seat legroom. But wait, there’s more. At a click, the rear passenger side seat can engage it’s Comfort Position. This folds the empty front passenger seat away, reclines the rear seat and extends a foot rest. A fold-out metal table even swings over the passenger’s lap. You wouldn’t be surprised if a flight attendant walked past with a glass of luxury champagne. It’s all bit much, and that’s exactly the point. The BMW M760Li rides a slick air suspension system, which, almost literally, isolates the vehicle’s body from its wheels on a cloud of air. 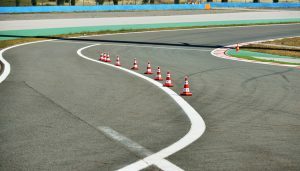 The suspension stiffness adapts to the selected drive mode, firming up for improved handling when drivers fancy some high-speed cornering. 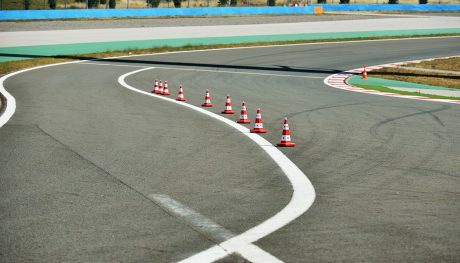 Further, numerous high-tech provisions throughout the rest of the chassis, such as anti-roll bars that use electric motors to preemptively reduce body roll, help turn in handling on par with a car that’s half the size. Using the volume knob is for chumps. 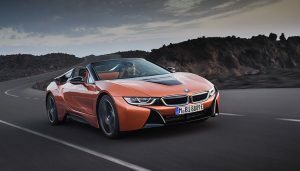 For this reason, BMW’s Gesture Control system allows drivers to adjust the stereo volume (or place and dismiss phone calls, mute the audi, and more) all by making a gesture with their hand in the air, in front of the dash. Turn up the radio by drawing a clockwise circle with your finger. Bigger circles turn the volume up faster. Poke two fingers towards the screen to dismiss a phone call. Warning: If you do a lot hand gestures while you’re talking, the system may trigger at random while you converse. 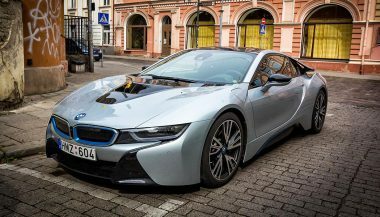 The BMW i8 is a hybrid. It's an electric car with a three banger gas engine to help out. 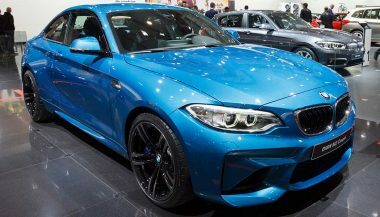 If you're considering the BMW M2, you have to really ask yourself what you want in a car. But you better hurry before they're scooped up by everyone else.